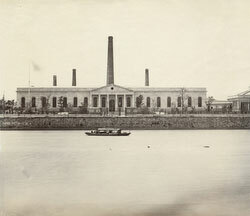 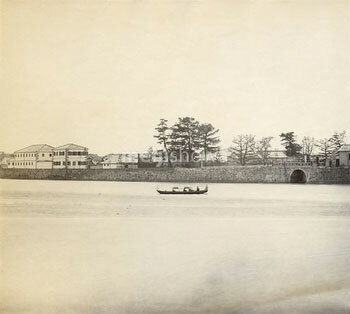 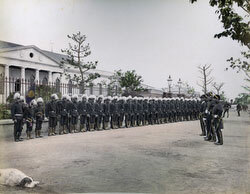 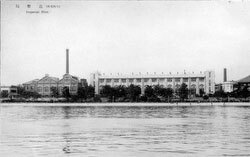 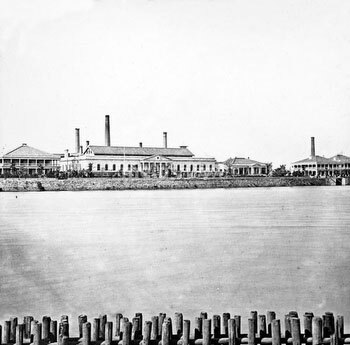 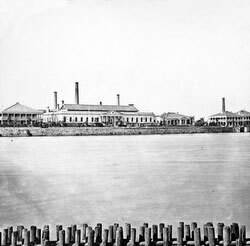 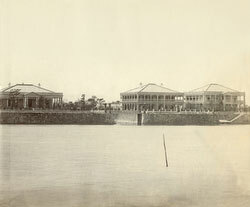 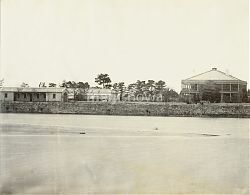 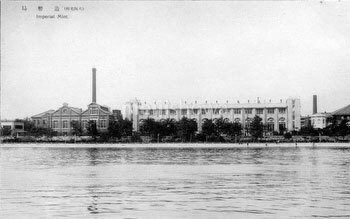 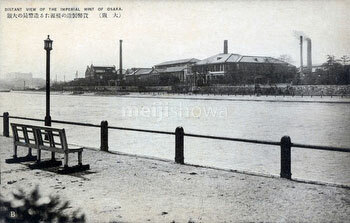 On April 4, 1871 (Meiji 4), the Japan Mint (造幣局, Zohei Kyoku) was officially opened in Osaka. One of the biggest issues that the Meiji government faced was a monetary chaos. 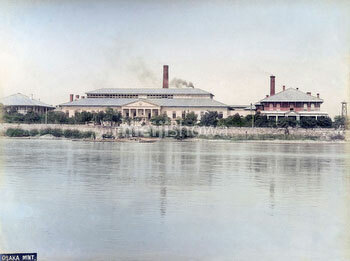 Therefore, among its first acts was the establishment of a Japan Mint to modernize Japan’s monetary system and create a stable and reliable Japanese currency. The influence of the Mint went far beyond its monetary role, it was also extremely influential in transferring technical knowledge from the West to Japan. Japan Mint’s famous two-story red brick building was constructed by Irish architect and engineer Thomas James Waters (1843-1898). It was designated an important cultural property in 1956 (Showa 31).